Panasonic has announced development of a new Leica 10-25mm F1.7 zoom lens for Micro Four Thirds at Photokina 2018 event. It is the world’s first f/1.7 wide-angle zoom lens for the Micro Four Thirds system. Taking full advantage of the MFT system standard, the new LEICA DG VARIO-SUMMILUX 10-25mm F1.7 lens is both bright and compact. 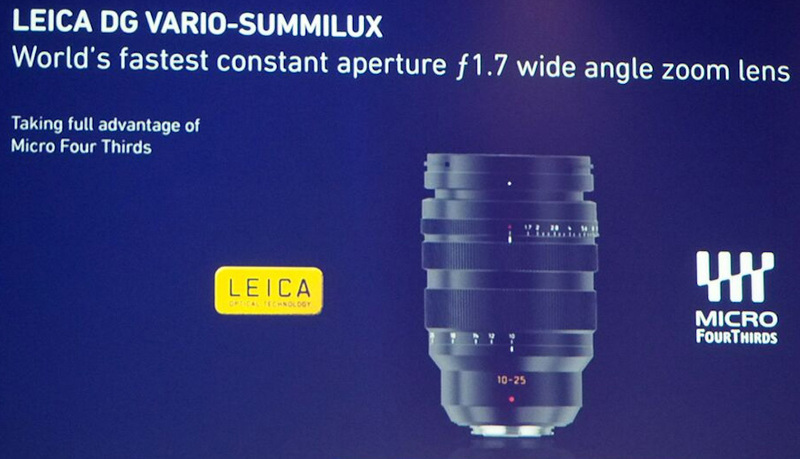 There is no word yet on the Panasonic 10-25mm F1.7 lens price or the release date at the moment. More details can be found below. Cologne, Germany, 2018-09-25 – Panasonic Corporation announces that it is developing the LEICA DG VARIO-SUMMILUX 10-25mm F1.7 wide zoom digital interchangeable lens (35mm camera equivalent: 20-50mm). It is the world’s first* F1.7 wide-angle zoom lens for the Micro Four Thirds (MFT) system. Taking full advantage of the MFT system standard, the new LEICA DG VARIO-SUMMILUX 10-25mm F1.7 lens is both: bright and compact. It is the first interchangeable lens to be introduced to the market featuring a full-range F1.7 high-speed aperture.